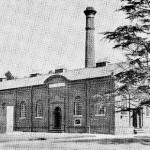 Today in Gosport’s Past:-on 11th May 1858, The Gosport Waterworks Company came into being. 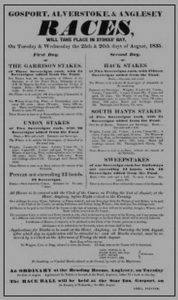 The town recieved its first supply of water from the Bury Cross waterworks at the north end of Jellicoe Avenue on 26th September 1860. 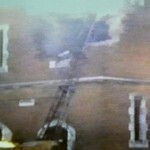 The original water tower was soon found to be inadequate, and a new, larger tower was built in 1865. 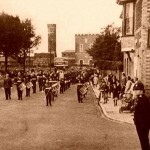 The company’s offices were initially at The Market House until 1890, when they moved to 1 High Street, and in 1910 they moved again to Thornfield House at 4 High Street, which remained the Gosport offices even after the amalgamation forming The Portsmouth & Gosport Water Company took place on 1st April 1955. 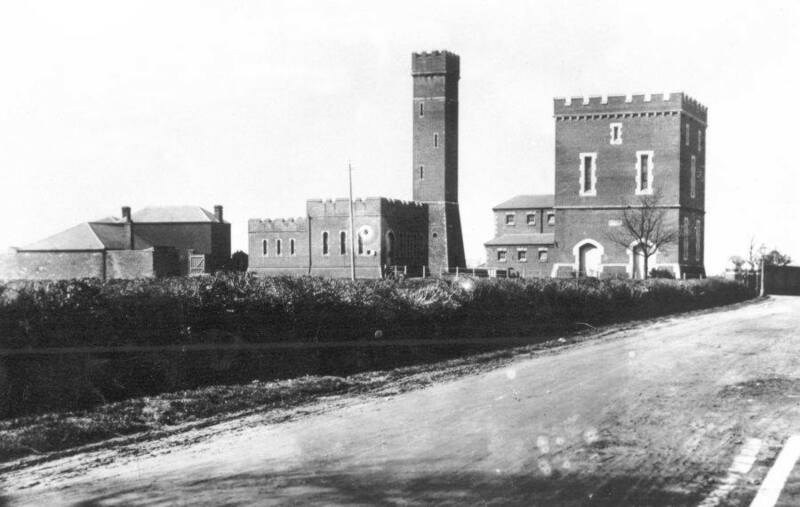 Gosport Waterworks Co. opened new works, wells andv towers at Foxbury Point (1896-1903), Shedfield (into use 24th May 1907) and Mislingford, at Soberton (completed 1907), and in 1907 the Bury Cross waterworks was rendered redundant, as it had been superceded by the other works, but was kept open in reserve. 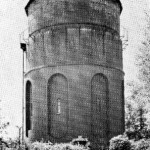 Although opened in 1896, Foxbury didn’t get a water tower until 1900, so water supplies from Foxbury were low pressure until then. 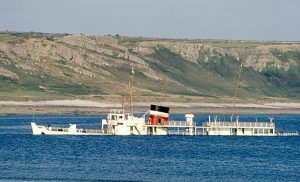 It soon became apparent that salt water from the harbour was seeping into the Foxbury supply, and it was abandoned in 1903. 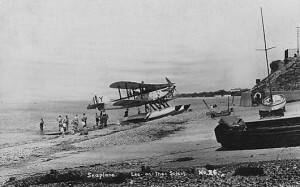 In 1904 the Gosport Waterworks Co. acquired The Lee-on-the-Solent Waterworks Co. although the transfer didn’t occur until 1915; the Lee-on-Solent Waterworks was situated at the corner of Lee High Street and Cambridge Road, with a shallow well and water tower. 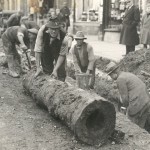 The Mislingford works began supplying water on 24th May 1907, after which date Bury Cross was kept in reserve, and Mislington and its connected wells alone supplied Gosport’s water for the next 41 years. 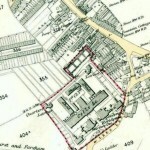 Long before any of this took place, a Gosport & Forton Waterworks Company had been proposed as early as 1698, and a waterworks & reservoir was built at Forton soon afterwards (situated in the triangle at Lees Lane/Crossways, where The Criterion was later built); water was piped via hollowed-out elm trees, but the company soon ran into financial difficulties, and only 240 houses in the town ever recieved piped water. 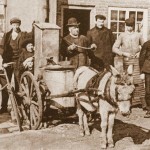 Following this failure, water was provided from three main wells in Gosport, and delivered in 36 large water carriers, each holding one ton of water (of poor quality), which was sold for one farthing per bucket; this continued until 1860. 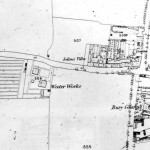 A fair number of wells could be found all over the town in gardens etc, so many properties had the comparative luxury of their own water supply, or at least one locally situated. 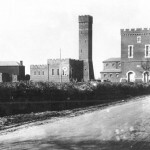 Bury Cross waterworks (or most of it) remained in place until demolished in the summer of 1972. 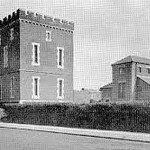 I always considered it to be something special as a kid; you couldn’t move without tripping over a fort in & around Gosport, but it took the waterworks to build something that LOOKED like a castle! Credits to original photographers.